One of the reasons I enjoy living in London is having access to various restaurants with worldwide cuisine well within my grasp, including living close to 1, 2, and 3 Michelin-star restaurants. A foodie’s dream. In Central London, there are numerous one Michelin-star restaurants, a few less two Michelin-star restaurants and only 3 three Michelin-star restaurants. These are Dinner by Heston Blumenthal (you can only order from the tasting menu if you’re a party of 4-6); The Araki (beautiful sushi); and Restaurant Gordon Ramsay (offering modern French cuisine). In December, I decided that keeping in line with Clos Maggiore, Restaurant Gordon Ramsay would be a great choice. We’ve never been to a Gordon Ramsay restaurant before, so why not start with a three Michelin-star restaurant ;-). For those not in the know, Michelin-stars are awarded by Michelin (the tire company) on the basis of the food or cooking quality. A one Michelin-star denotes a very good restaurant in its category; two Michelin-stars denotes a restaurant with excellent cooking and is worth a detour; and three Michelin-stars denotes a restaurant serving exceptional cuisine that is worth a special journey. Based on this, we had great expectations for Restaurant Gordon Ramsay, especially since we had an memorable experience at the two Michelin-star restaurant, The Midsummer House, in Cambridge. So expectations were high. As we walked into the restaurant our expectations grew even more. And Restaurant Gordon Ramsay did not disappoint. Once we were seated, we noticed a card on the table with our names on it. We were celebrating an anniversary and the restaurant, very kindly, wrote us an anniversary card. I loved the gesture! What a great touch! And that’s when I knew the type of service we were going to receive. It was going to be noteworthy. The restaurant itself is styled in art decor, so its clean style sets the precedent for the evening. So before the menus were even provided, the tone for the night was set. But before getting lost in the splendour of it all, we needed to focus on the food. That’s the main reason you come to a three Michelin-star restaurant: for the exceptional cuisine that’s worth a special journey. As the menus a provided table nibbles are brought to the table. I guess to start whetting your appetite. A amuse-bouche of cheddar cheese mousse in an egg shell is then served – it’s magnificent. This is followed by foie gras that burst with freshness from the clementine and a beautiful ravioli filled with lobster, langoustine, and salmon. Then the heavier dishes: a delicate Cornish turbot with that was enhanced by potato gnocchi and truffles; well-prepared tender lamb with roast vegetables (most notable was the blue potatoes from Bolivia); and hearty roasted pigeon with beetroot (to provide some relief from the meaty pigeon). Simple dishes but bursting with flavour and excellent technique. Next was the palate cleansers (the reprieve between the main courses and dessert). First up was a flavourful soup of pineapple, coconut, and kaffir lime served in a flute with a glass straw. The soup was refreshing after the meaty dishes. The second palate cleanser was Granny Smith, camomile, and cider sorbet. Wonderfully light and delightful. Last was lemon parfait that was elegantly served with a delicate honeycomb ring and sheep’s milk yogurt. It looked like it belonged in a museum! With a menu like this, who wouldn’t be happy?! Every mouthful made me happier and happier (or maybe it was the wine). But at the end of the evening, I was beyond satisfied and felt like royalty. To end off the evening, we were given a tour of the kitchen which was pristine! There were clean surfaces everywhere. Restaurant Gordon Ramsay is my second three Michelin-starred restaurant I’ve been to and the first Gordon Ramsay restaurant. So I had high expectations and the restaurant knocked it out of the park. I can’t fault a single thing! The service was precise, the restaurant charming, and the cuisine was spectacular! It was the perfect way to end 3 days of anniversary celebrations. I’d happily come back and can’t wait to see what more Chef de Cuisine Matt Abé has to offer. * Restaurant Gordon Ramsay is located in Chelsea, London. Voted the most romantic restaurant, in both the world and London, in 2016, Clos Maggiore has been on my radar for some time and with two hefty titles, it was a restaurant I was going to keep for a special occasion (like an 11-year anniversary). I booked almost 2 months in advance, only because I didn’t want to forget about it and leave it to the last minute and to then be disappointed if no tables were available. So for 2 months, I excitedly waited for the day to arrive. I booked lunch for the day before our anniversary, to kick-off the festivities. Upon arrival our coats were taken and we were asked to wait in a small waiting room that could hold 8-9 people snuggly. After a few minutes, we were taken to the Conservatory – the main attraction and one that needs to be requested. As you walk in a beautiful scene arrives – cherry blossom flowers draping the ceiling and light flooding in from the glass ceiling. We were seated in a corner of the room but don’t be fooled by my description. Our table was nestled between the fire place and hanging flowers, with a beautiful giant mirror behind us (perfect for photos or a quick make-up check). It was indeed romantic and I immediately understood why the restaurant won those awards. Being surrounded by the restaurant’s beauty, it’s easy to forget about the food. But the food… Oh the food is exquisite! Every mouthful of the delicious Provencal cuisine makes you want another and another. You’ll also want to come hungry because the portions are generous. It’s a good thing we only had the 3-course tasting menu because anything more and I would have needed to spend the night at the restaurant. I did end up skipping dinner and could’ve went without breakfast the next day. So, the restaurant is beautiful and the food spectacular. What about the service? Ah, that too was fantastic! The waiters were helpful and always present. No need to go look for one, unlike the 2-Michelin starred Sketch (cough cough). The sommelier was also knowledgeable, although I walked into the restaurant with a wine already in mind – Meerlust Rubicon 2015 (I was craving a South African wine – sometimes you just want a bit of home). Clos Maggiore is that restaurant that you leave with a smile on your face and an eagerness to come back. It hits all 3 aspects of a fine-dining restaurant: impeccable service, delectable food, and beautiful decor. It’s exactly what it’s reputation claims. *Clos Maggiore can be found in Covent Garden. As mentioned, request the conservatory when booking. You won’t be disappointed. I’ve been following Dan Doherty, the Executive Director of Duck and Waffle, for over 3 years now on Instagram. And every Instagram post had me craving the eye-pleasing dishes. And now, after over three years, I finally made my way to Duck and Waffle in Heron Tower. After convincing everyone of the place I was nervous. Will the food be great or just average? Did I over-hype the place up to myself? Standing in front of the Heron Tower another thought fluttered through my mind. I have no idea where Duck and Waffle is. Luckily the doorman at the entrance of the building helped us find the entrance. He, literally, pointed at the entrance. If I was him, I would’ve make us walk around the building. Once in the building, we took that nauseating lift up to the 40th floor. Clearly I’m not a semi-speed junkie. After that adrenaline rush, the nervousness set in again. Would my guests appreciate the choice for dinner or had I been a bit too adventurous by introducing a new restaurant? However, after entering and seeing the bar. All nerves were gone. The beautiful bar area, with its lighting, definitely helped me feel better about my choice. Once seated we were introduced to 2 waiters. This I didn’t understand. The first waiter (in a red shirt) explained the menu to us and the second waiter (in a black shirt) did the exact same thing. Except you couldn’t order from the waiter with the black shirt. It was odd. I’m assuming the waiter with the red shirt was for food and the waiter with the black shirt was for drinks. Anyway, once wine was ordered we ordered a bunch of plates. One plate too many actually. First to arrive was the ‘Nduja seared octopus. As expected the ‘nduja was spicy and added plenty of flavour to the perfectly cooked octopus. Then the fennel with the green sauce and yellow lentils added a cooling feel and some crunch. Definitely one of my favorites. Then was the foie gras crème brûlée. When I looked at the menu I was most intrigued by this. Once the dish arrived, I couldn’t wait to knock the hard caramel lid. And it cracked perfectly. I must admit the foie gras was average but what was great was the caramel. It added depth to the foie gras – a sweet and crunchy depth. The marmalade brioche added more sweetness and fluffiness. I helped myself to 2 slices of the bread, it was that good. A great debate emerged at the table over the smoked eel. My boyfriend was adamant no one would like it because, lets be honest, eel is an acquired taste. So when the debated dish arrived at the table Lee’s argument failed. The smoked eel was delicate, creamy, and had a bit of spice from the horseradish. Definitely a dish to try. Next to try was the pork and apple corn dog. I’ve never tried a corn dog but if all corn dogs taste like Duck and Waffle’s version then I’m hooked. The outside was crunchy and the inside soft. The chipotle mayonnaise was fantastic and added piquancy to the dish. Not pictured was the roasted brussel sprouts that we had. I enjoy roasted vegetables but brussel sprouts aren’t a favourite. However, Duck and Waffle changed that. The vegetable was sweet, salty, and tender on the inside. It turned out to be a favourite dish. The last of the “starters” to arrive was the lamb keema (soft minced lamb) with hara bhara sauce (a sauce made from spinach, peas, and potatoes). The bread smelled amazing and the bite that followed burst with flavour. But then came the kick from the chilli. That was quite unexpected but appreciated. The spiciness elevated the dish. Our snack appeared next: BBQ-spiced crispy pig ears. I enjoy pork rinds because of the crispiness. So pig ears peaked my interest. The pig ears arrived in a paper bag with a duck and waffle seal. It was different and not expected. However, the pig ears were well coated with bbq spice and had an amazing crunch. On a whim we ordered the pulled goat doughnut. The doughnut was soft and had a sweet and spicy taste from the jerk sugar. Inside the pulled goat was well cooked and tender. A delightful doughnut that hits all the spots. Up next were the main dishes. The duck and waffle was a duck confit leg with half a waffle and maple syrup with mustard seeds. Once again the dish was delicious. The duck was crunchy on the outside and soft on the inside. The waffle was perfectly cooked: crunchy on the outside and fluffy on the inside. Eating all the components together provided a crunchy, salty, and sweet experience. The next dish was the miso glazed rabbit and was one dish too many for 4 people. Nonetheless, we soldiered on. The rabbit was tender and a bit salty (from the miso). And a rather large portion once you’ve eaten everything. Accompanying the main dishes were the roast sweet potatoes, which were soft and spicy. I didn’t try the sweet potatoes with the duck and waffle. But I did try them with the the rabbit and it was a great accompaniment. And a delicious plate on its own. After all that food you would think we would skip dessert. Nope! Dessert was ordered. I had the salted caramel choux bun and the others had ice-cream. I was surprised when the choux bun came within 5 minutes. Due to the quick arrival of the choux bun, I was expecting a stale dessert. I was wrong. The choux was light and fluffy. And the salted caramel provided a sweet and salty sensation. Something I’ve come to love in London. The smoked hazelnut cream was light and provided richness. The food at Duck and Waffle was fantastic! It definitely is a place to enjoy different taste combinations. So you shouldn’t walk in with a fear of trying dishes. Every dish we tried was delicious and was bursting with flavour. Being at the top of Heron Tower you have amazing views of London. And the atmosphere of the restaurant is vibey. The service was also great, as the food arrived quickly and waiters were knowledgeable on the menu. However, there was a lull in the service as we tried to get the bill. I definitely enjoyed my food experience at Duck and Waffle. And because of that, I give them 4.5 stars. Sushi Samba… Doesn’t the name just excite you? A fusion of Japanese, Brazilian, and Peruvian cuisine to make your taste buds jump. Clearly I’m a fan. After living in London for a while, we were craving some mochi and decided to have lunch at the restaurant. After booking a few days in advance, I feel like you have to book at Sushi Samba not matter the time of day, we were riding the stupidly fast elevator up to the restaurant. We arrived a few minutes early and decided to have some cocktails. I had the Kaffirinha and Lee the Plantain Punch and they were delicious. A great way to start lunch, as the cocktails arrived the table became ready. I’ve been to Sushi Samba a few times, but this is the first time I had a table right next to a window with a view and it’s definitely something to enjoy on a Friday afternoon: great cocktails with a clear view of London. While sipping on the cocktails, we ordered a few dishes to share: plantain chips; lobster taquitos; wagyu gyoza; lamb chops; and the Tokyo Sky Tree. One of my favourite dishes from Sushi Samba is the plantain chips. It’s a crispy dish that’s enhanced with aji amarillo sauce. A sauce that’s spicy and creamy. In case you don’t know, aji amarillo is a pepper that’s found in Peru. It’s spicy but it also has a fruity flavour (which makes it a bit sweet). That’s why I enjoy the plantain chips. The dish provides crunchiness, spice, and sweetness. And I can easily go through a plate by myself. Next the wagyu gyoza arrived. And that blew my mind. Combined with the kabocha (a Japanese squash), the gyoza was meaty and delicious. The sesame and su-shoyu sauce added saltiness. The dish definitely hit the umami and salt taste areas. The lobster taquitos were disappointing. The taquitos were crunchy but the fried lobster was odd. I think the taquitos were saved by the aji amarillo. It’s definitely a dish I wouldn’t order again. And then onto the biggest mistake I made: ordering the lamb chops. Zuma has ruined any other restaurant’s lamb chops, but these lamb chops were of poor quality. The chops were fatty and difficult to eat. And the portions that were edible were few and far between. Without a doubt, I would never order this again. Never! I should’ve complained but waiters were difficult to find. The last dish was the Tokyo Sky Tree and it was delicious. I enjoyed the spicy and crunchy lotus root, the crunch of the fish, and the spiciness of the mayo. Overall a delicious sushi dish. And one that I’d happily order again and again. And it’s quite filling. After the dishes were done, I ordered another cocktail (the Shiso Fine – excellent again) and we ordered two mochis for dessert. I’ll be honest, the only reason we came to Sushi Samba was for the mochi (soft Japanese rice cakes filled with ice-cream). The dessert came with three mochi flavours: pineapple and coconut, mango, and green tea. While the mochi was fresh and yummy, the white chocolate sauce was limited. I’ve been to Sushi Samba earlier this year and they weren’t so stingy with the white chocolate sauce. I never noticed before but the dishes at Sushi Samba are either hit or miss. A dish is either done brilliantly or not. And for it’s reputation, it is a bit disappointing. But given the price point, I guess it’s not the crème de la crème of Asian Fusion restaurants in London. What did annoy me was the service. From entering the restaurant to ordering and receiving the main dishes, the service was fantastic and fast. It was easy to get a waiter. But after the last main dish, service definitely slowed down. It took approximately 15 minutes to find a waiter to order dessert and another 15 minutes to find a waiter to ask for the bill. After all of that, will I be back? Yes. While Sushi Samba does have it’s faults, some of its dishes are well-worth the hassle. And I’m well aware of the dishes that never disappoint. One top of the food, the cocktails are great and on most occasions, the service is great. Sushi Samba is located in Herron Tower and gives you a fantastic view of London, if you’re lucky to get a table next to a window. I’ve recently moved to London and, as a foodie, I can’t wait to try every interesting restaurant that crosses my path. I have been to London a few times and have eaten at spectacular places, but those places do cost a pretty penny and can’t be eaten at every week (I’m not a crazy person and there are some amazing kitchen gadgets to procure) 😉 . With the weather changing and the cold starting to set in, I started craving Indian food. And as luck would have it, some friends took us to one of their favourite restaurants: Dishoom. Dishoom is a popular Indian restaurant in King’s Cross. And how do I know it’s popular: there was a queue outside the restaurant of hungry customers. I’m told this is always the case, as the restaurant is busy and doesn’t take reservations. But they do serve chai tea as you wait. This I can live with. Especially once you’ve had their chai. Luckily for us, we didn’t wait in the queue and there was a table ready for the 4 of us. We were escorted into the restaurant and were seated on a long table. Although this table was being shared by 2 other parties, it didn’t seem intrusive and there was enough space for everyone. After deliberating over the menu, we placed our orders: okra fries, pau bhaji, vada pau, mattar paneer, and chicken ruby. It doesn’t sound like a lot of food but it was. I was stuffed just from the vada pau. The food at Dishoom was fantastic and definitely felt homely. The pau was soft and tasty. The okra fries brought make childhood memories with the crispness and spiciness of the okra. The curries were also delicious but I thought they could be a bit spicier. Dishoom also delivered on the drinks. The rose and cardamon lassi was sweet and aromatic. And the chai was just like my aunts used to make it: just a bit spicy, aromatic, and warms you up. I enjoyed Dishoom, as the food and drinks were amazing. I think I found a new favorite. Thank you Pooja and Suren 🙂 . However, the service was a bit slow and the waiter kept forgetting our order. Dishoom is a busy restaurant but I do think it’s important to still be able to ensure tables get served and the right dishes make it to the right table. 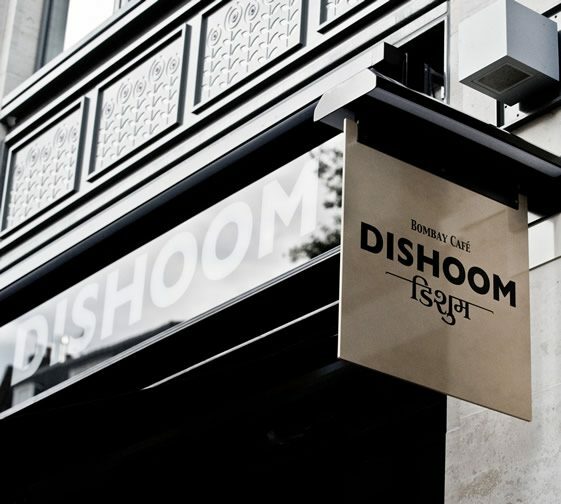 For my first British restaurant review, I give Dishoom 4 cupcakes (order everything your heart wants – it’s all delicious). I’m on a roll with the corny titles 😀 . As I mentioned in my previous blog, it’s been a busy time. Straight after my trip Greece I was in New York for 6 days. Well, more like 5 days. With the time difference, the jet lag knocked a day off my time in New York. Once again I was in a new country and city. And top of my agenda for New York was a good ol’ fashion New York hot dog. My quest for the perfect New York hot dog involved checking reviews for hot dog stands (that don’t exist) and walking around checking the cleanliness of hot dog stands (majority of them are clean). Eventually, after all that checking and identifying a hot dog stand near my hotel, I got one from a random hot dog stand outside the Guggenheim Museum. A spicy Italian hot dog, that was mouth-watering. Another must is pizza from Brooklyn. A bike tour through Brooklyn led us to 2 amazing pizzerias: L’industrie Pizzeria and Roberta’s Garden and Tiki Bar. Aside, from the hot dog, Brooklyn pizza sure is amazing. I’ve had many a great pizza but Brooklyn’s pizza is the best I’ve ever had 😀 . In terms of other restaurants, I was in New York for a short period of time and didn’t have much time to take in the many restaurants. I did, however, manage to try out Zuma, Indian Accent, and Boqueria. Boqueria has a beautiful setting and definitely had a Spanish ambiance to it. The food and service was great as well. Indian Accent was also amazing. The creativity of the dishes was fantastic. And every dish I tried was delicious. I was surprised to find a Zuma in New York… I didn’t think there was one here. I’m accustomed to Zuma in London and so the New York restaurant had some high expectations. Unfortunately, the New York branch did not impress. The food and service was not of the quality we were used to. However, the ambiance was amazing. I definitely enjoyed the vibe in New York. Throughout my time in New York I noticed one particular feature that was almost non-existent in many restaurants: quality service. In the restaurants we patroned, waiters easily forgot our orders or disappeared. If it was a fast-food place I could understand – New York is a busy city. But we frequented many high-end restaurants, including the restaurant at our hotel (The Whitby Hotel). Maybe it’s just a New York thing? But it was definitely off-putting and made me crave London. August was a crazy month for me: waiting for visas to come through, packing up my South African life, moving to the UK, and finally a vacation. My Greek vacation. 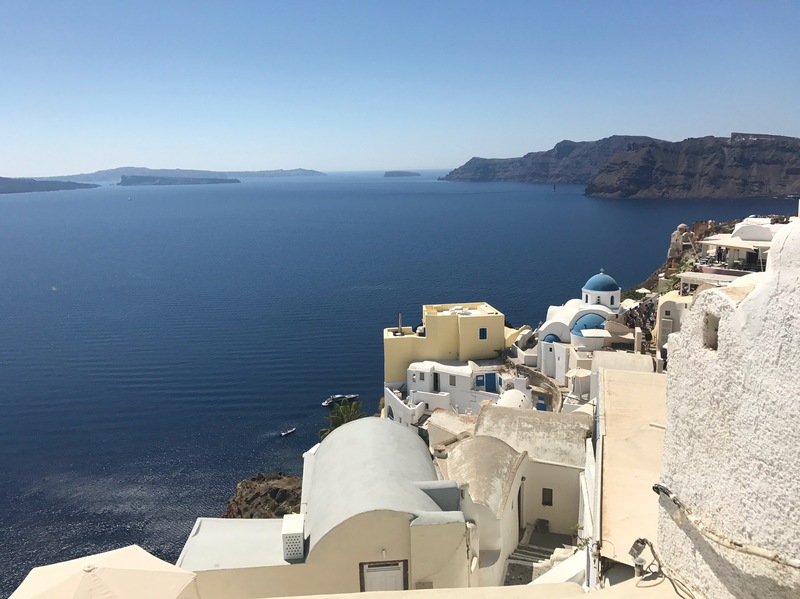 This past August and September, I spent 10 days touring Greece: a couple of days in Athens, a day in Sparta, and the a week in Santorini. And it was my first time in the European country. So based on everyone else’s experiences I had great expectations. Touching down on Athens, I was excited to experience the history and the food. In terms of history, Athens never fails to disappoint. Unfortunately, I was only in Athens for 2 days and only managed to soak up the history of the Acropolis and the Temple of Poseidon. However, I did managed to get my fix of Athenian food: fresh seafood, beautiful Greek salad, and gyros. And how can I forget the best drink: Ursus (or red vodka). Ah gyros… The perfect meal containing protein, greens, and a little bit of carbs (:-P). And let’s not forget how well a gyro goes with Fanta Lemonata… Or a Greek coffee. In Sparta, we were treated to mouth-watering organic and fresh food. And the best Greek coffee I had in Greece. It also boasted the best orange juice. Or so I thought. After a quick trip to Sparta, we departed for Santorini. The iconic Greek island, with its blue churches and white walls. A must see for any traveler. 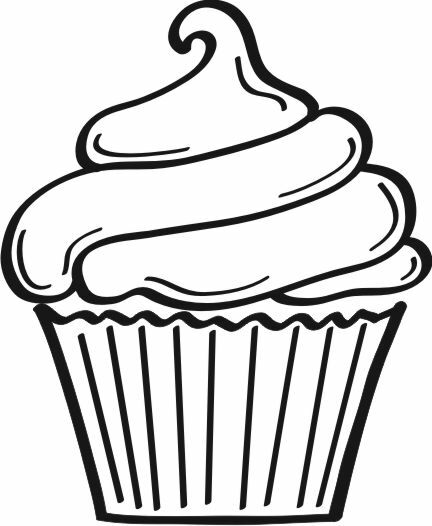 And for an food enthusiast. Every restaurant in Santorini offered delicious food, with equally divine cocktails. Santorini also offered interesting Greek wines. While I’m not a fan on Santorini wines, as the white wines are too acidic and the red wines are not really red wines (more like pinot noirs), I can appreciate its vincanto (the island’s semi-sweet dessert wine). And the best orange juice ever – to be found at Cafe Emporio, in Emporio. Wines aside, the seafood in Santorini is amazing. I stuffed myself with squid to the point of where I can’t eat squid at all. That and the fact that no other non-Greek restaurant has met the freshness and tenderness of a Greek-made squid. Feta wrapped in phyllo pastry, fried in olive oil and drizzled with sesame seeds and honey. Grilled squid – a must! With all the amazing food in Greece, I must admit that the shellfish was not as great I thought it would be. And that Ursus (or red vodka) was unattainable in Santorini. Greece was an amazing experience. But only travelling to 3 cities and 1 island, I think a trip back is much needed. Nonetheless, I left Greek feeling extremely Greeked out but craving a Greek salad and a Greek coffee wherever I went. *** The title is corny, I know. But do you know another Greek title that can be manipulated 😝. Ladies and gentlemen, I give you my first vegan post. Now I’m not vegan but I do respect the lifestyle choice. And I have been trying to be more healthy and eat less processed food. I also realise there isn’t much awareness about vegan restaurants or markets in Gauteng, although the lifestyle is growing. So I’m going to try to shed some light on the many markets or restaurants. Bear with me but you’ll start seeing more diversity. To kick off this new mandate, I stopped by the Vegan Hippie Connection Market held at the Pirates Sports Club in Parkhurst, Joburg and on the last Sunday of every month. It’s not a stone’s throw away from my home but it is quite central if you’re in Joburg. And it’s close to all those trendy restaurants in Parkhurst (cc Craft, etc). The Vegan Hippie Connection Market started almost a year ago and has since had 10 markets. The market boosts 60-62 vendors. So you’re spoilt for choice, with food, clothing, and other lifestyle goodies. Taking a walk around it’s difficult not to buy everything you see. The vendors are extremely friendly and happy to chat to you about their product(s) (and to give you a sample to try 🙂 ). And you don’t feel pressured to buy the product. The vendors actually don’t mind if you have a taste, take a business card, and order from them at a later stage. The atmosphere is also fantastic and welcoming. I know a few people who are trying to adopt the vegan lifestyle and they are faced with plenty of judgement for not going all in. In this environment there’s nothing of the sort. There’s no judgement. In fact, I was only asked once if I was vegan. I must admit I panicked and said that I was vegetarian. A vegetarian who had a sausage and bacon for breakfast. Don’t judge! 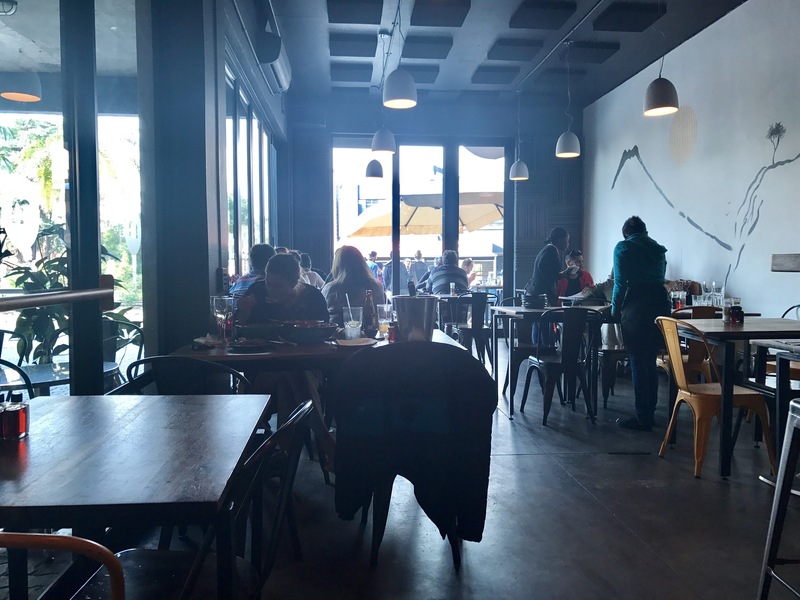 Talking to the owner Benita Coetzee you get a sense of what she wanted the market to be: a community where you could find all things vegan and be in a non-judgmental environment. And she’s achieved that. The market is also dog-friendly and dogs of all sizes are welcome. There’s also plenty of parking. And live entertainment 🙂 . Have a look at the photo gallery below to see what the market had to offer. I came away with kombucha (a drink I’ve started enjoying this year), buddha earrings (because how could you not), and some dog biscuits.